The amount of information shared across social media channels each day is unmeasurable. With almost 3 billion internet users online, you can imagine the throughput needed to transmit successfully each byte of data. Being among the top social networks, Twitter plays a significant role in shaping internet “traffic“. The following infographic, prepared by WhoIsHostingThis, shows us what happens in a minute, and how much data is being transmitted. The findings are impressive! 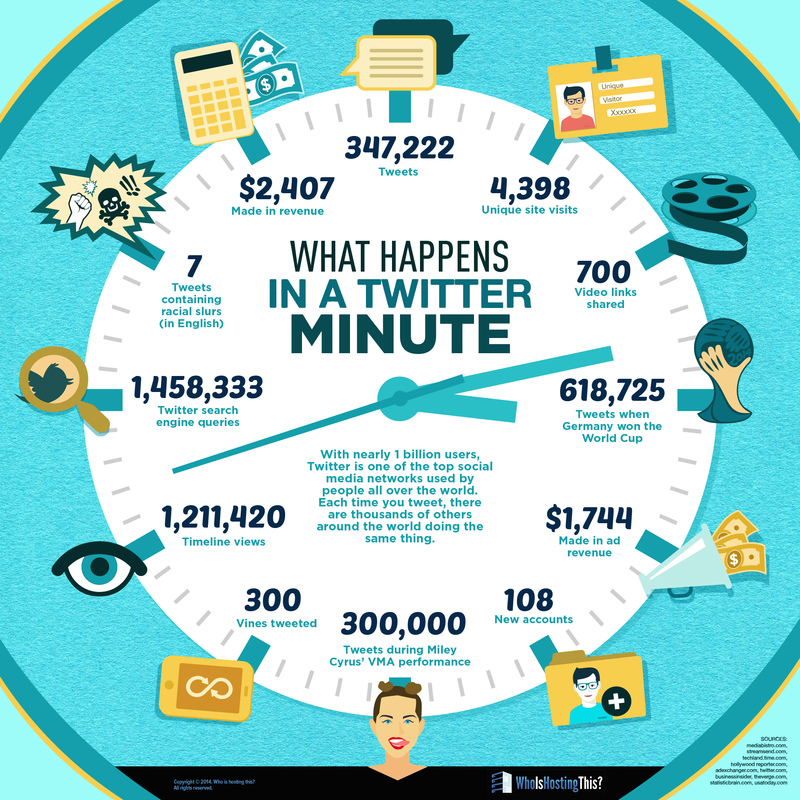 – Each minute over 347.000 tweets are tweeted. – 700 videos and 300 Vines are shared! See more cool stats below.